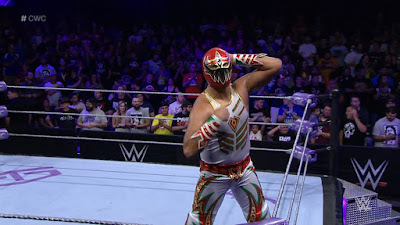 With the Second Round getting underway, as Kota Ibushi, Gran Metalik and Tajiri looked to make it to the Quarter Finals, would the action of the Cruiserweight Classic begin to heat up even more? DDT's Kota Ibushi and ROH's Cedric Alexander put the 1st Cruiserweight Classic on the map, making everything that had came before it feel like a mere warm up, going out into Full Sail Arena and lighting it up with a 15 minute belter. Considering it was the pair's first match ever involving the other, this was spectacularly smooth, fast action that built to a wonderful crescendo following a number of near falls for both men. Every single move was hit with a real purpose, whilst the even relatively simple moves like a diving clothesline were made believable near falls thanks to the bumping abilities of both men. The urgency that both brought to their performance can only act to lift the tournament in the prestige stakes, as both looked desperate to stay in the tournament. The pair showed that they are accomplished at a number of different styles and capable of pacing a contest to get the most out of themselves and the crowd. The early portion of the contest saw them work a technical style, with Ibushi focusing on Alexander's arm, before working through some strong-style strikes, beautiful high-flying moves, whilst also weaving in some quality storytelling as Alexander easily slotted into the underdog role with the crowd on the edge of their seats as he hit a superkick and a tight brainbuster for two consecutive near falls. After a flurry of moves ended with the Golden Star Powerbomb to seal the win for Ibushi, I couldn't help but think that it was a real shame for Alexander to have had only two matches on the show! I feel like that is how I should be feeling after each and every elimination in the tournament! Ibushi will face either NYWC's Tony Nese or WWE's The Brian Kendrick in the Quarter Final. With such a strong main event, it would be easy to overlook CMLL's Gran Metalik [Mascara Dorada] and WWE's Tajiri having a good contest in the only other match on the show. The two battled in what was a well put together, back and forth clash of styles that felt much richer than it's ten minute run time would indicate. The "everything you can do" opening followed by the Lucha-style exchange of submission holds was one of my favourite sequences of the tournament so far and was very different from most of what WWE presents at the moment. Both men got to showcase themselves once again, with some slick tightrope style moves from Metalik for near falls, whilst Tajiri's submission work looked brutal at points and made Metalik look even better when he not only withstood it but managed to escape. When it came down to it it was Metalik who picked up the win, once again with the Samoan Driver to advance to the Quarter Finals, where he will face Dragon Gate's Kota Ibushi or FSW's Jack Gallagher. 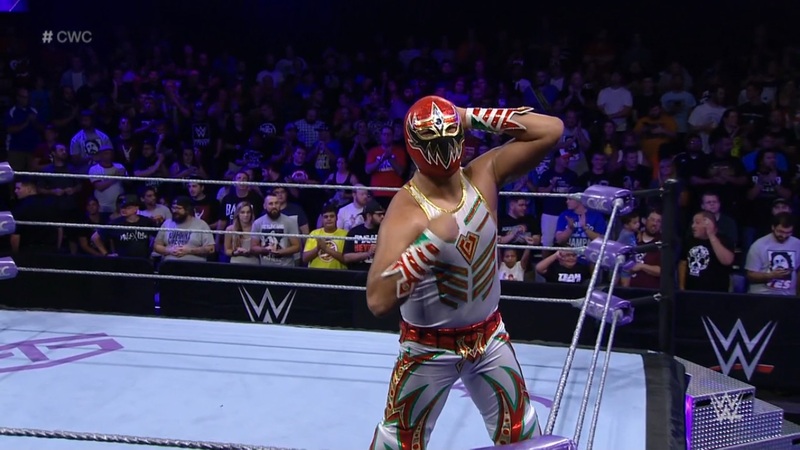 As predicted the 2nd Round produced the strongest episode of Cruiserweight Classic so far with a big jump in quality above the previous best, Episode 2. Kota Ibushi upped the bar in the main event, alongside Cedric Alexander, showing why he is among the favourites to win the entire tournament, whilst Tajiri and Gran Metalik put on a bout that may become a forgotten gem of the tournament, thanks to having to share a show with Alexander v Ibushi! This was the first must-watch episode of tournament so far and I have feeling we'll see a few more of those before it's over.